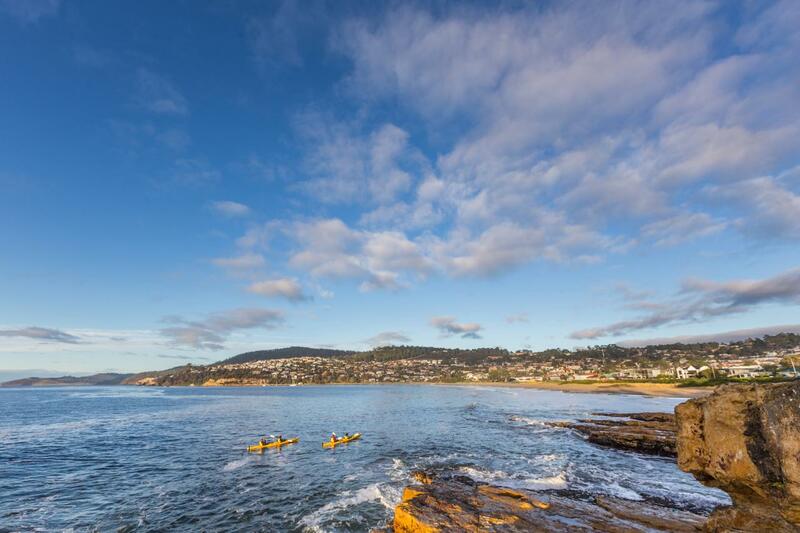 Enjoy a relaxed paddle exploring Hobart’s diverse river and coast. 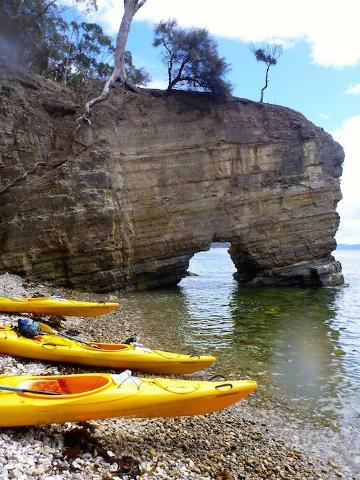 Paddle amongst tranquil bays and beneath the lichen-covered Alum Cliffs, explore sea caves, enjoy views of Bruny Island and leave your footprints on idyllic sandy beaches. 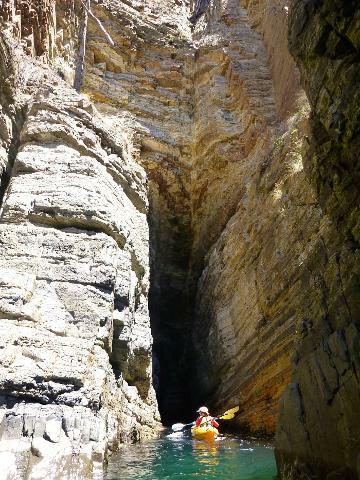 This full-day paddle is operated in a one-way direction, depending on the forecast wind direction. It is a relaxed paddle but you do need to be fit enough to paddle for up to 4 hours over the day. Suitable for beginners and children over 10 when accompanied by an adult. Duration: Approximately 7 hours (with 4 to 5 hours of kayaking). Ages: This is a full day paddle and is suitable for children over 10 years of age when accompanied by an adult. Includes: Return transport from Hobart, lunch, refreshments, our passionate and experienced local guides, stable double sea kayaks, all kayaking equipment, warm all-weather protection gear. Cost: $180 adult, $150 child (ages 10-16). Children must be accompanied by an adult. Bring: Hat, sunglasses, water, comfortable quick-drying clothes suitable for the weather, shoes that can get wet (sandals, running shoes), change of clothes for the trip home.